Photos from this exhibition first appeared in our blog on 20 February 2013. Here are more shots from the same exhibition at the Central World Plaza, Bangkok which runs from 5 February – 20 May 2013 every day from 1000 – 2200 hours. 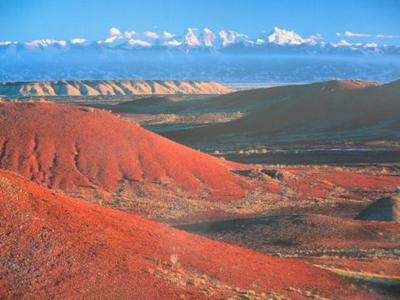 Photo 1 – Burnt Mountain in Qitai Prefecture, Xinjiang a mountain that is completely reddish-brown. Under the sun at dawn or dusk, it appears to be burnt. Photo 2 – Jinshanling section of the Great Wall – Construction of the Great Wall started in 770 BC. Over the centuries it was extended and linked. Construction and improvements continued till AD 1644. By then the wall was more than 1,000 km. 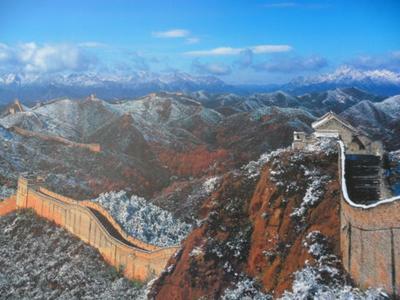 The Great Wall was added to the World Heritage List in 1987. Photo 3 – Celestial Capital Peak Mount Huangshan, Anhui Province a mountain region that covers 250 sq km. Its 72 craggy peaks, stone forests and pines are shrouded in clouds. 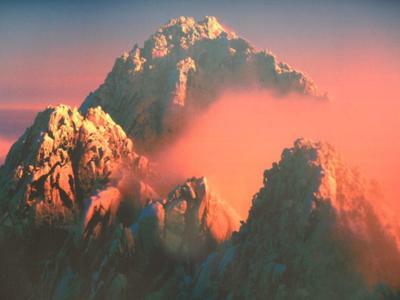 Mount Huangshan was listed on both the World Cultural and Natural Heritage Lists in 1990. 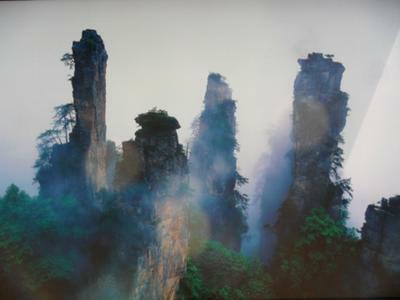 Photo 4 – The odd-shaped peaks and beautiful forests of Tianzi Mountain north-west of Wulingyuan, Zhangjiajie. It was first opened to the outside world in the early 1980's and was the first National Forest Park designated in 1982.